Scouts who make use of standard forms for organizing the more routine data and tasks associated with Scouting can save a lot of time and effort and end up with a more robust result. In addition to helping you organize data so it is more easily understood by others, a good form also serves as a reminder of all the myriad details that are often needed to perform a given task. If you run across or create a form you find useful, please submit it to the webmaster (e-mail to webmaster@troop76.org ) so it can be considered for posting. 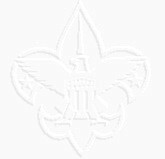 Troop Meeting Plan - Very useful form which helps organize and plan a regular troop meeting. It is in a fill-in-the-blank fielded Adobe Acrobat form which you can fill in, save as a local file and print out or e-mail for sharing. Leadership Cards - Leadership Cards are job description / "contracts" between a Scout and the Troop that spell out the responsibilities of each Scout Leadership Position. Each Troop 76 Scout Leader is expected to perform according to these guidelines and whether or not he "earns" full leadership credit is guided by this measurement. These are draft documents being reviewed by both youth and adult leadership for eventual use by Troop 76. Generic Permission Slip - this is an editable Microsoft Word document that can be changed for any Troop 76 Scouting activity requiring parental permission. Generic Campout Equipment List - this is an editable Microsoft Word document that can be changed for any Troop 76 Scouting camping or other outdoor activity requiring an Equipment List. Chili Cook-off Judging Criteria - Wondering how success and fame is determined & earned when putting forth your culinary best? Check this out to learn of the yardstick against which your efforts will be measured! Click HERE for a PDF version and HERE for an editable MSWord version. Patrol Equipment Checklist & Planning Aid - A tool to help a Patrol insure it has what it needs and knows who has what gear. PDF Format. Click HERE . MSWord Format, Click HERE . Equipment Borrow & Return Form - Us this form in conjunction with #6 above to check out equipment and return it with smaller risk of equipment loss. PDF Format, Click HERE . MSWord Format, Click HERE . Attendance Template - This Microsoft Excel-formatted spreadsheet is a good way to keep track of who's at what meeting or activity. Edit the column headings with dates & activity names then you can just check off the box. Or you can use a letter or other code in the box to indicate other information like for Troop Meetings using a "Y" if the Scout is in proper uniform and a "N" if not or for Outdoor Activities like a Campout an "O" for staying overnight or a "D" for day program participation only. Troop Expense Reimbursement Form - This Microsoft Excel-formatted spreadsheet can be used to itemize items bought for the Troop for which you are seeking reimbursement. Scout Planning Worksheet - This is a generic BSA form that helps scouts plan events. Grants adult leaders the permission to administer over-the-counter medications to scouts when necessary. Fill-in-the-Blank Eagle Application 2008 Version Note, you can type in the values on this PDF but unless you have a program that saves PDF you have to complete it and print it all in one sitting. Still, it makes a nice looking application!